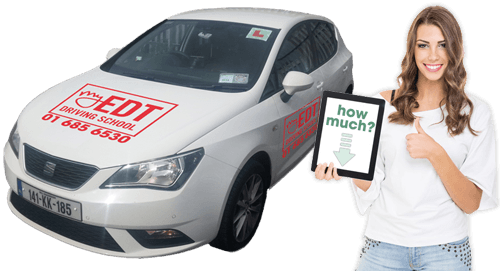 CALCULATE THE COST OF YOUR DRIVING LESSONS! Our prices vary depending on your circumstances. 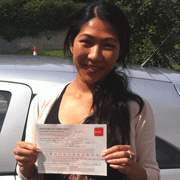 "MyEDT Driving School helped me complete my EDT lessons and prepare for the test. My instructor was very understanding of my needs and every lesson boosted my confidence..."
"I had experience with driving so the EDT felt like a formality. 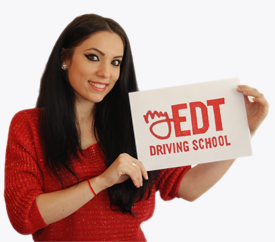 We got through my EDT fast and from the first lesson I knew I was going to pass my driving test with MyEDT Driving School..."
There is no where to hide. before applying for the driving test! Before you can sit your driving test you have to compete these lessons and if your learner permit is brand new you'll have to wait 6 months before you can apply for the test. 2-3 hours of practice between each EDT lesson? On top of this it is recommended that you take one EDT lesson every two weeks and in between each EDT lesson have 2-3 hours of driving practice with your sponsor or driving instructor. This should leave you with a minimum of 36 hours driving practice before the driving test. These are the facts. Your job now is to decide who it is that you want to guide you in completing your EDT driving lessons. 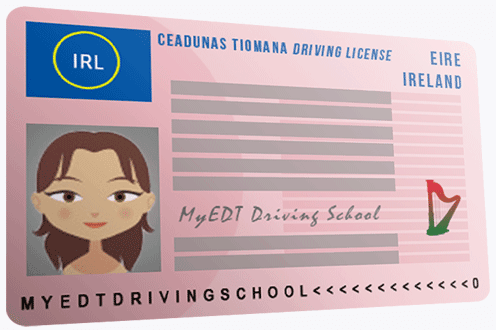 There are so many driving schools to choose from but if it is the EDT you have to complete then it is Ireland's EDT driving lesson specialists you should choose. Here is our promise to you. We will get you through your EDT lessons fast. We will get you through your EDT lessons at no extra expense and we will leave you with the skills you need to stay safe on the roads and to pass your driving test first time. Our instructors are Ireland's leading EDT experts and can get you through the EDT quickly. We have amazing EDT packages and pricing and have a 100% EDT pass rate. Call 01 685 6530 to book your lessons today! Not having a full driving license will hold you back! When you don't know how to drive what's the most annoying statement in the world? "So you don't have a driving license?" A common question you'll face in a job interview. "Do you have a driving license?" A question that leaves you with that sinking feeling as you see them become skeptical about your adequacy as a candidate or worse condescendingly laugh at you for having to get lifts from A to B from your parents or friends. Okay the last point may be a little extreme but the feeling remains the same. Do you keep making excuses to avoid learning to drive? How often have you asked yourself these sorts of questions and made excuses about the time not being right to learn or the fear and anxiety overwhelming you at the very thought? We will help you overcome you nerves and grow your confidence! 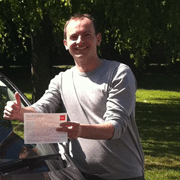 We've helped hundreds of people get their driving license. We've had students so nervous about learning to drive that they would be in tears at the start of each lesson. But we worked with them. Showed them how to control their nerves and grow their confidence. Nurtured them all the way to passing the test. We get amazing emails from our past pupils every week sharing their successes in landing dreams jobs and all the other great opportunities that come with having a full drivers license. The world truly becomes your oyster once you pass the test. So if you want to overcome your fear of driving and experience for yourself all the benefits of having a full driving license then there is only one thing you need to do. Take action and call us now to book your first lesson...we wont let you down. Call 01 685 6530 to book! Avoid the common mistakes when choosing your driving school! Lone operating instructors find it difficult to fulfill appointments because of being a one-man band, teaching, taking calls, making calls, uploading EDT certs, checking emails, working part-time. This leads ultimately to a breakdown and poor customer service. What backup has the one-man band got? Newly qualified and inexperienced instructors give you exactly this, perfect for beginner not knowing the difference, charging a low price for a lower service. Is the school mainly EDT lessons or pretest lessons? Does the school provide automatic and manual lessons? What areas does the driving school cover? Does the school offer male and female alternative instructors? What is the consolation policy and refund policy of the school? Is the school a one-man band? Is the person on the phone caring of your needs or just a great sales person extracting money from you, asking for credit card details before you could say hello. Is the instructor fully qualified and approved by the Road Safety Authority? All of our instructors are! And they complete inhouse training to guarantee you only get the best! Every instructor in Ireland now has to be approved by the Road Safety Authority, and passed the three-stage exams successfully to be admitted unto the RSA-ADI panel. They must also display their ADI permit and badge on their person and in their car. Any instructor that can't produce here this evidence of ADI identity is illegal. Will you have the same instructor throughout your EDT? You get the same instructor the whole way through, unless of course you want to change. You are in control! Other schools send different instructors for different lessons. This is not a good practice as different instructors have no feel for that particular pupil as they have not been doing the lessons, therefore don't know what level you are at and often duplicate lessons because of that. We send the same instructor to the same pupil every time...unless of course you want to switch. The choice is there. Could you try automatic instead of manual? We have a modern fleet of manual and automatic cars for you to choose. Again, single car operators find it difficult to run two cars, so the automatic is not an option. Are cheap lessons good lessons? If it sounds too good to be true, it often is. Lesser experienced instructors have to drop their pricing to try and get new student to take driving lessons with them. These cheap lessons may lure you in but more often than not the choice comes back to haunt those that are attracted by the promise of cheap lessons. On countless occasions our role has turned into that of picking up the pieces for the poor quality instruction pupils have received from inexperienced, knowledgeable instructors. Don't be another statistic and fall into this trap. Remember, if you buy cheap, you buy twice. Have you ever bought anything really cheap that was top quality and lasted years? If so, let us know. How much can you value your life? Learning to drive should be seen an investment not an expense. A school with the best instructors and high pass-rate doesn't drop prices. There are plenty of cheap driving schools out there that will gladly take your money. Fortunately we are here to gladly keep picking up the pieces.